If you are planning a visit please make an appointment so we can make sure we are available to answer all your questions. Our showroom/door display and workshops are near Chester, which I know may be a bit of a trek for some of you. We have plenty of working doorsets for you to see, you can also see the doors being made in our joinery workshop. 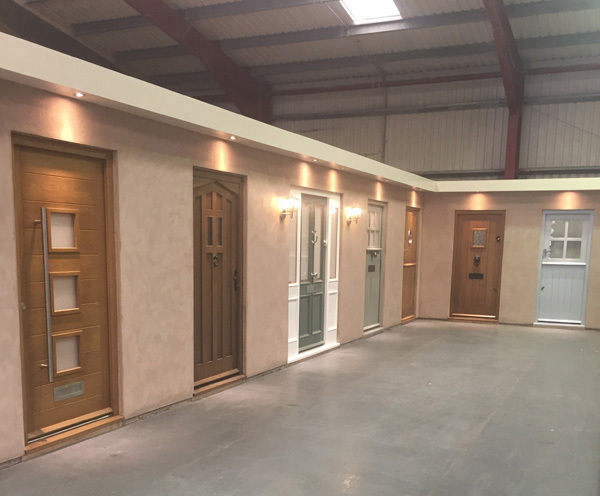 We would highly recommend you come to view our high quality, secure, solid wood doors if at all possible. We offer lots of options – types of timber, finishes, locks, ironmongery and glass. If you are unable to visit then give us a call, we may be able to organise a meet up with the fitters when they’re in your area, this has worked very well for a number of customers. Although we are based near Chester, the majority of our work goes down South so please ask about this option. Chester has the most complete city walls, the oldest racecourse, and largest Roman Amphitheatre in Britain, plus a 1000 year old cathedral, 700 year old unique shopping rows and Chester Zoo, the most visited visitor attraction outside of London. And that’s just for starters. The oldest Racecourse in Britain. Whether entertaining clients, celebrating a special occasion with family or enjoying a day out with friends, a day at Chester races will be an unforgettable experience for all the right reasons! Chester is renowned for being a glamorous venue where style and fashion go hand in hand with the racing action. As well as being the largest National Park in Wales, Snowdonia boasts the highest mountain in England and Wales, and the largest natural lake in Wales, as well as a wealth of picturesque villages like Betws y Coed and Beddgelert. Snowdonia is an area steeped in culture and local history.